Points updated, Down to the Last Two Tournaments of the year!! The 2016 Norcal Series season is coming to a close. All Norcal points are up to date. Check the points list to see where you stand. 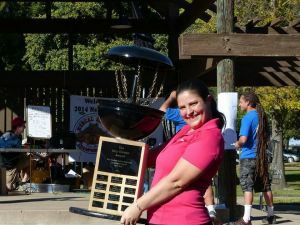 There are two more events coming up in the series and only one still has room, The 38th annual Gold Pan open. This tournament will be held in the town of Somerset, Ca. The courses being uses will be Pioneer Park and the Somerset country club at Charlie Callahan’s private course. Get signed up as soon as possible, lots of spots open. Sign ups online close on Thursday night. Friday signups will be at Pioneer part from 4-7pm. No day of sign ups. The Norcal Series Finals will be held this year at Lake Amador, a private lake resort near the town of Ione. They have two challenging courses, tons of camping and a pro shop/restaurant. If your signed up make sure you get your camping reservations in. This tournament is full. There will be end of the year awards and recognitions plus tons of raffles, Friday night doubles and Saturday night players party. Should be a fun end to another great Norcal Series year. See you all there!